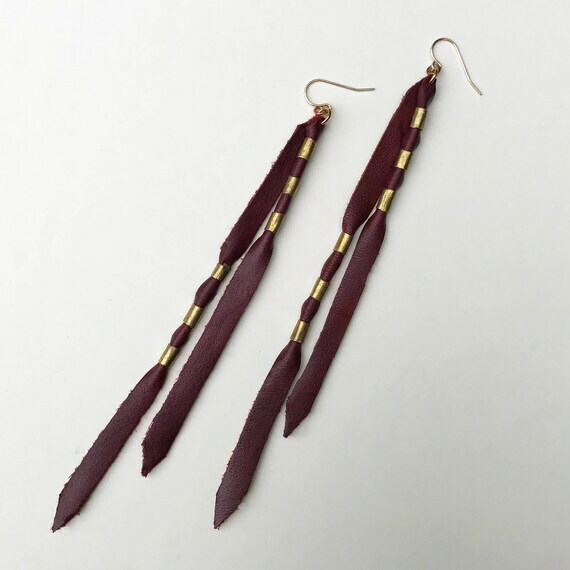 The Sunset Earrings feature a beautiful deep burgundy hand-cut leather tassel, accented with African-made brass beads. 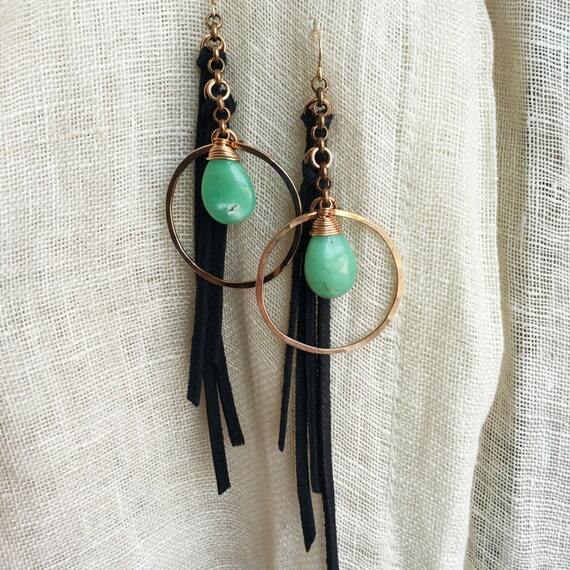 The ear wires are 14k gold filled and the length of the earrings is approximately 5 1/2". 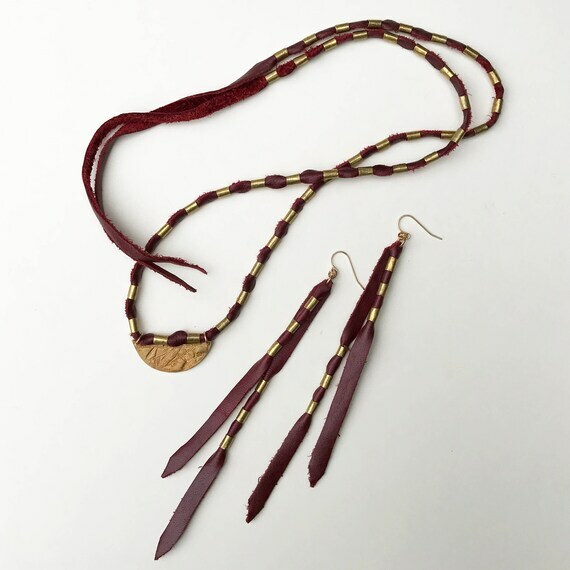 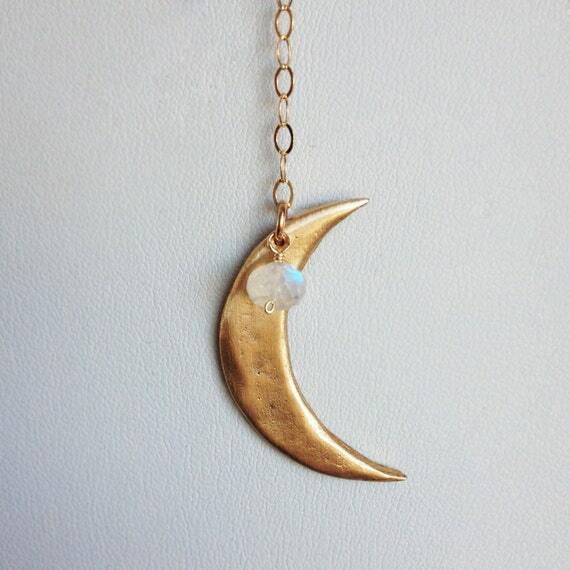 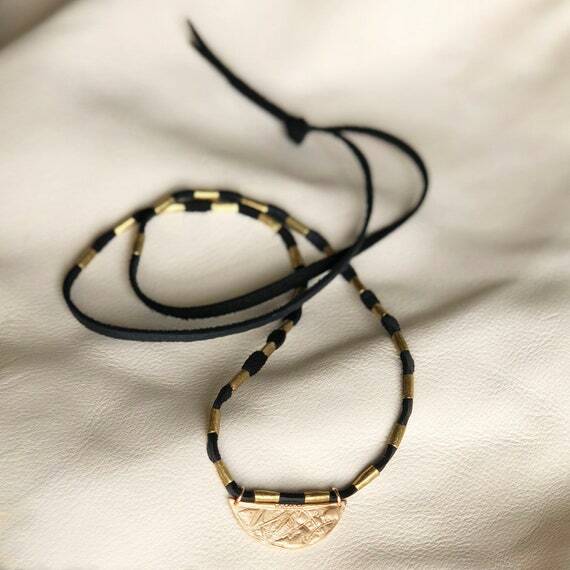 These coordinate with the Sunset Necklace.